One week after Jake Owen's single, “I Was Jack (You Were Diane),” hit No. 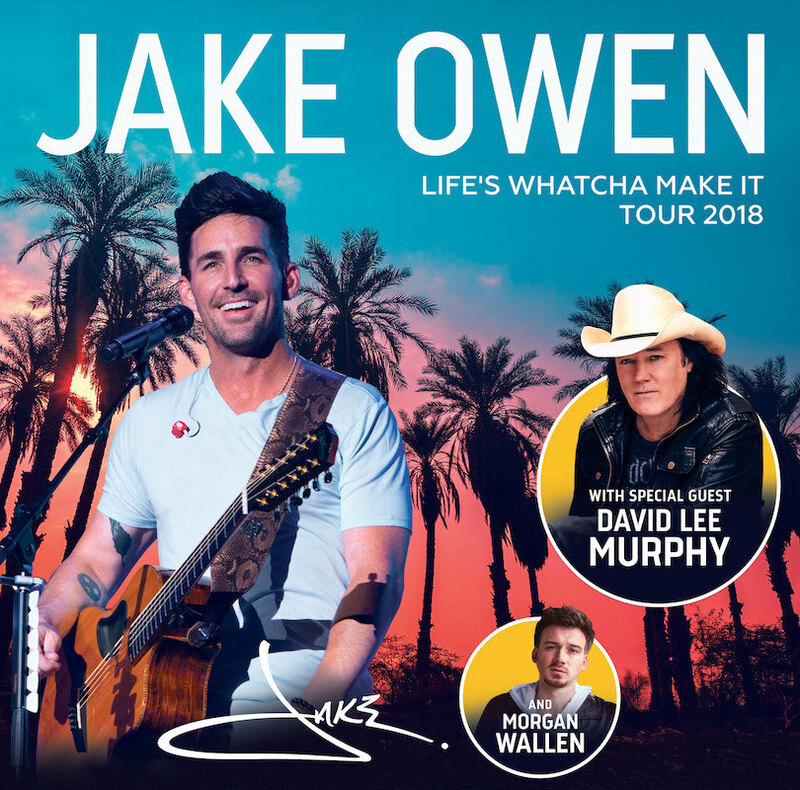 1 on the country airplay charts, the Big Loud recording artist announces his new single, “Down to the Honkytonk,” and the second leg of his “Life's Whatcha Make It Tour 2018.” The tour will include special guest David Lee Murphy and rising star Morgan Wallen. Tickets will go on sale starting Friday, August 10th at 10:00 a.m. local time.